When it comes to Christmas shopping for friends and family, punctuality isn’t my best skill. BUT… if there’s one thing I know… it’s kids toys. For this years gift guide, I’ve rounded up our family FAVORITES. All of these are toys that my 5 kids recommend and play with all the time. I’ve organized them by age so you can see what kids ranging from ages 9-3 are interested in! Make sure you scroll all the way to the end, because i’m joining forces with some friends who are sharing their favorite items for travel, gardening, cooking, and the home office! Eleanor could sit in her room and draw for ages. This light up tracing pad takes 3 AA batteries and she uses it to trace her own drawings, trace other image… you name it. If I’m being honest, Eleanor said “ANY” lego, but this is one of her favorites. It’s pretty intricate with lots of details which explains the price, but I love that this newer line of legos is a little more appealing to young girls! Are you sensing a theme with Eleanor? Art and building! These sketchbooks come in various designs. They look super cheesy, but she spends hours tracing and designing outfits for the various characters included in each pad. You now how little boys have like 500% more energy than little girls sometimes? Yeah… that’s why we love this baseball hit-away. He can spend 30-60 minutes outside in the yard practicing his swing over and over. We don’t have iPads in our house, but the kids adore their Kindles. We have them set up with parental controls so they can only access books for their correct age during the week. On weekends, if they’ve read for an hour, they can use the apps for an hour or two… of course they’ve figured out how to find the games and videos! The basic goal when it comes to Oliver is to burn energy and keep him from bothering his siblings. He loves this electric drum set; he can plug it in and WEAR HEADPHONES so he can hear himself playing, but we don’t need to bear witness! I asked Oliver what his favorite book was these days and this was what he told me. Now that Oliver’s in 2nd grade, he is able to read more interesting books and I love that he can now go and quiet down all on his own with a good book in front of the fire! Martha discovered this funny game one day last year when all her classmates brought in board games from home. This is essentially like pick up sticks but the loser is the first person to remove a noodle and dump the poor yeti into the spaghetti. There are lots of other designs, but these cute craft kits are a fun way for kids to make their own pillows as well as practice fine motor skills and spacial planning. This will probably take an adult to oversee in the very beginning but most kids this age should be able to manage on their own ultimately! I suspect I shared a version of these last year, but they’re SUCH a grand slam with our crew. Essentially paint by numbers with stickers, any child with number awareness can place the sticks in their numbered spots. This one is particularly cool because the kids can make an animal out of their sticker creations. We have so many versions of this I’ve lost track, but NOT Julia! Louisa will spend hours just arranging all of these. I have them all in a single storage bin so they’re easy to access and easy to clean up. Have I mentioned how much I love imaginative play for my kids? Really, any scarf will work, so head to your local thrift store or just raid your own closet. These simple scarves are super affordable and we have a set or two of these as well. My kids use them for everything from dress up to table cloths for their dolls to tying them around their pony tails to act as ‘braids’ to forts… We have a bin of scarves and they are taken out almost every day for one thing or another! I know I mentioned a DIY version of these in my favorite play dough recipe post, but this assortment was too good to pass up. Louisa asks to play with playdough every day when she comes home from school, and I love that these mats keep things a little more under control then normal! This relatively simple LED tablet has really become a favorite for both Martha and Louisa which I suspect has something to do with their increased letter and writing awareness! They carry it around and use it to play restaurant. They jot down notes when they’re playing games. With the simple press of a button, the entire screen will clear so they can get back to scribbling and writing in an instant. I stumbled across this Berenstain Bears treasure and Arthur wants to listen to one of these stories every single night. I love that he’s connecting with these classic stories and the added messaging is a bonus! Another one of his nightly favorites, also a classic, is Harry and the Lady Next Door. Arthur’s still learning to hold a pen and pencil so sometimes drawing is more fun when you can just dab! These dot markers are great for small hands as he can slide them across the paper to ‘paint’ or he can just grip it and make lots of dots by ‘banging’ it onto the paper. I’m pretty sure I include these magnet tiles every single year. These Picasso ones are much less expensive than Magna-tiles but they are IDENTICAL. All of my kids build with these magnet tiles all the time. They make castles and towers and train tracks and roads. These also float so every once in a while they find their way into the bath. This is a game of logic and elimination and the older kids love it. Each player selects a person and then their opponent tries to guess who by asking questions like “does your person have brown eyes?” Arthur is perfectly happy to help flip over the heads and all the other kids love trying to guess who! Disclaimer that this thing is a pain in the neck to assemble. BUT… once you’ve done it, it is the BEST outdoor playscape. My kids are on this jungle gym every afternoon after school whether they’re using it as a clubhouse or a base or practicing flips. Bonus that it can be moved around the yard fairly easily for mowing and to prevent the grass from dying. Ever since I saw this video on Youtube, I’ve been obsessed with forming a Smith Family Boomwhacker troop. We haven’t gotten past Twinkle Twinkle Little Star but we’re getting there! I love the cooperation required to play these and have found plenty of sheet music online! Because it’s based on each color, it’s easy for the kids to follow along! Thanks so much for taking a peek at all these items! 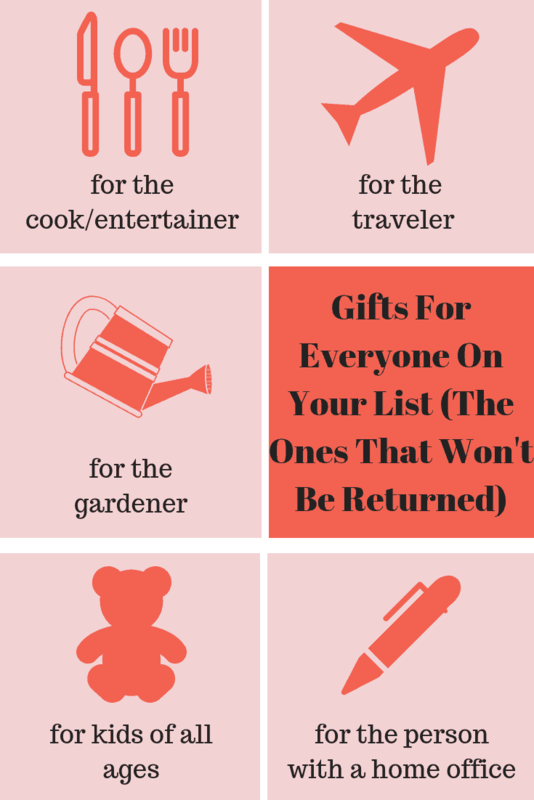 I always try to mention with these gift guides that I love sharing things that make me and my kids happy! When you purchase something from one of my links, I get earn a very small percentage of that sale (usually 2-4%). The price doesn’t change a bit for you, obviously, so it’s win-win! THANK YOU! Oh, Charlotte, you’re pulling at my heartstrings. these are amazing picks. i’m no longer in that ‘toy’ world since my guys are 27 and 23. i am remembering how much joy a tracing pad, pillow making, and sticker fun brought me as a child. my favorite gift of all time was my easy bake oven (nothing has really changed! ), and when i look back, these creative toys were definitely influential and so helpful to my development. so happy to partner with you today for project design. Peace to you, friend. NONE of these in the FAMILY YET!Meaning NO GRAND BABIES! Looks like YOU COVERED IT! These are so fun…I want them all for me. I just got a kindle for my birthday and it’s like a wonderful new world. I thought I would always want to hold a real book…but the convenience is great (and would get kids reading more). It’s great to visit you here. Thanks for playing with us. I felt the same way about my kindle! I got one when we were still in the city and LOVED having it on the subway… much more convenient! I have a 6 month old grandchild so I am new to the baby stuff. I have several nieces and nephews that I never know what to buy them. Thanks so much for this helpful list. I am always at a loss! Glad you were able to join us!